Out now! 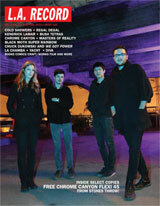 Our first issue of 2013 with COLD SHOWERS on the cover and REGAL DEGAL doing a beautiful beautiful poster! 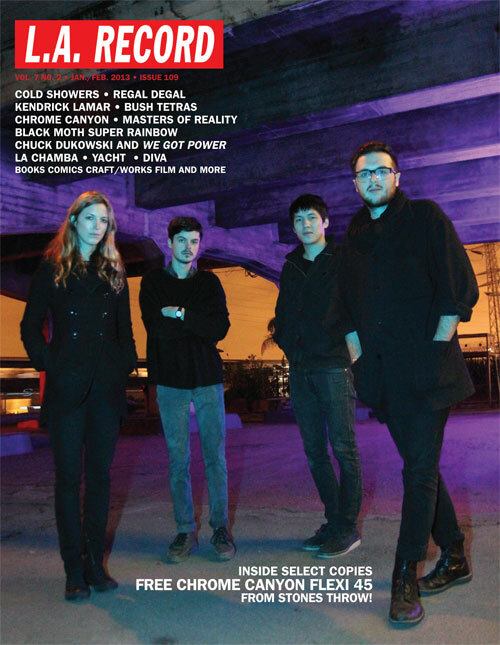 Plus KENDRICK LAMAR, the BUSH TETRAS, JOE VOLUME, Beth Jeans Houghton interviewing SAM FLAX, the engimatic DIVA, MASTERS OF REALITY, chicha band LA CHAMBA, Black Flag's CHUCK DUKOWSKI interviewing the editors of WE GOT POWER zine and so much more! Plus for you subscribers ... a brand new exclusive flexi from Stones Throw featuring synth maniac CHROME CANYON! Yours free when you subscribe! Order this issue individually or subscribe for five of our new bimonthlies (and get your flexi!) by clicking here!